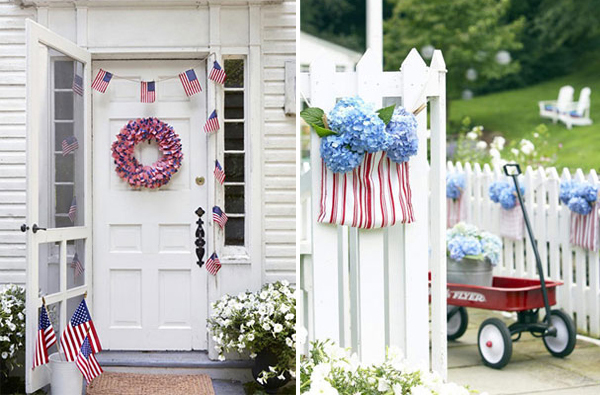 Independence day is soon so it’s time to think about decorating the house. 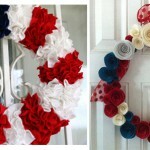 There are many way to bring in the holiday spirit into the house from door wreath to table decor. The flag color scheme is naturally the one to stick with. 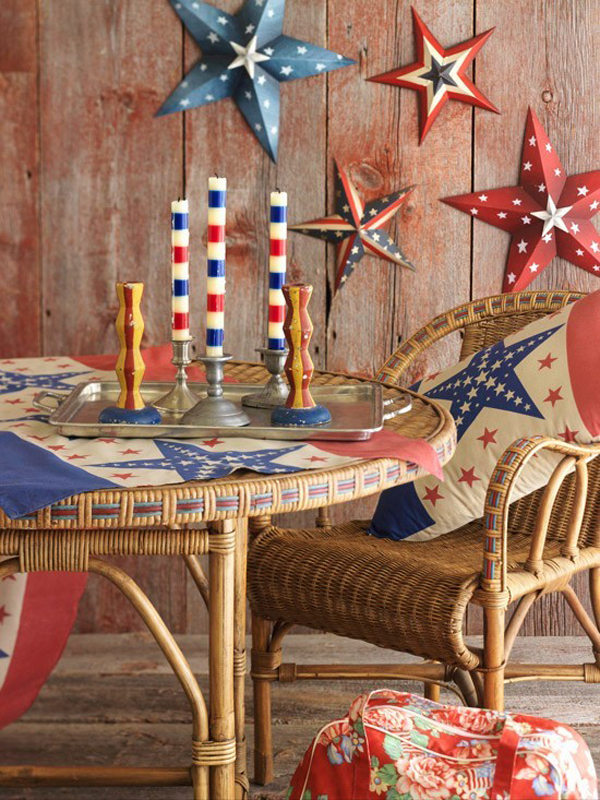 Choose decorations in red, white and blue to add the holiday spirit to the room. Go with the garlands and balloons. Red and white flower table centerpiece can be enhanced with the blue ribbon or blue flowers. 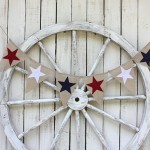 You can also make decorations yourself including paper garlands, flowers, cards and wreaths from paper, felt, ribbons, and many other materials. Think stripe patterns and star shapes. 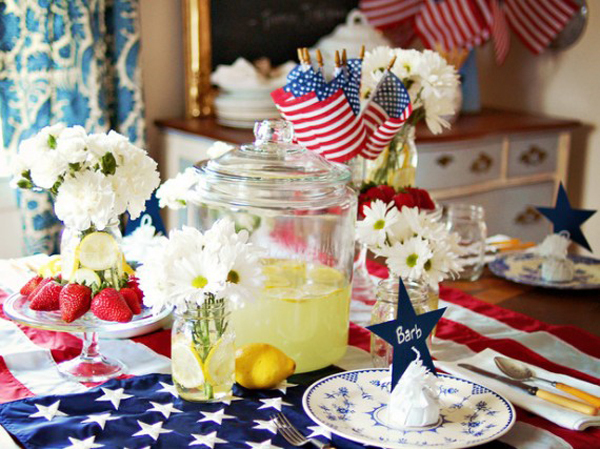 Table decor is a great decoration. 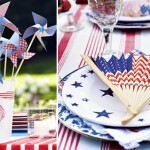 Choose the table cloth and tableware in red, white or blue colors. For instance, the red table cloth, white table set and a blue centerpiece can make for a great holiday table decor. 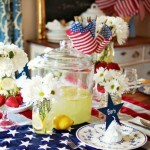 A centerpiece can be made out of flowers, ribbons, and themed ready made decorations or a desert. Holiday curb decor is a great way to bring in the holiday spirit to the neighbourhood and the house. 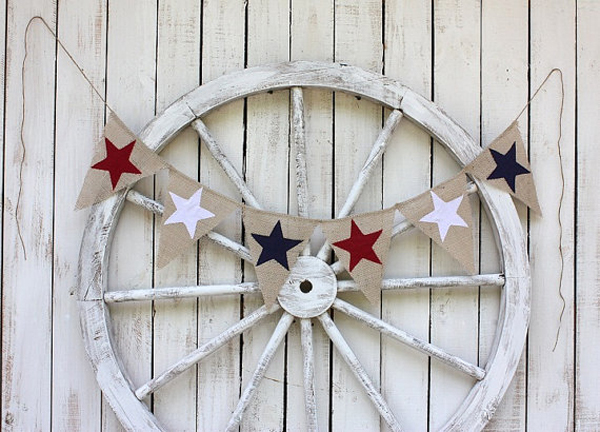 Door wreath is a simple yet standout decoration that can be there on its own and look great. 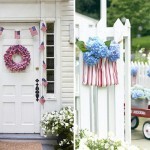 You can choose to add flags or ribbons and garlands to the porch or adorn the fence for the yard holiday party. 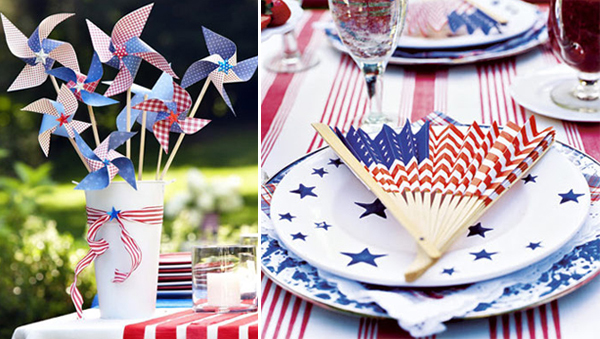 Table decoration ideas are just great!